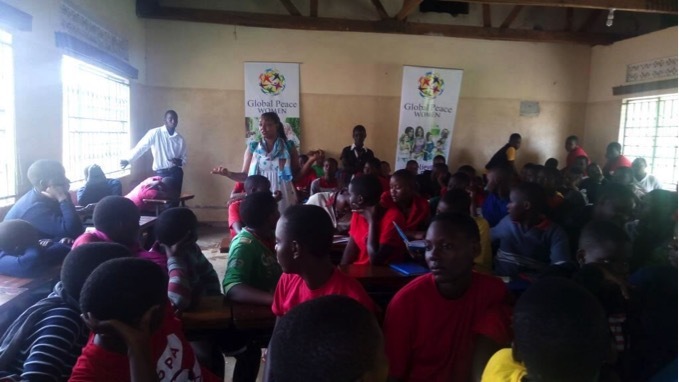 The Global Peace Women Uganda Mentorship Program, implemented by the women’s division of Global Peace Foundation(GPF), is an ongoing program that teaches peacebuilding, self-help, personal development, and other leadership skills to young school aged girls. This program was created by Stella Matutina, a Global Peace Women Leadership Academy graduate, who has been working on the program since early 2017. Stella first conducted the mentorship pilot program from May to August 2017 in Kampala where 200 young girls were taught their value as women, empowering them to become future moral and innovative leaders in their homes, schools, and communities. The first month of the program promoted unity and love among students of different religious and cultural backgrounds to resolve conflicts peacefully through a series of lectures. The opportunity to engage in open dialogue enabled Muslim and Christian students to take substantial steps towards interfaith collaboration within their communities. The importance of interfaith collaboration remains an essential component of peacebuilding as neighboring African countries and countries further west, especially Nigeria, continues to experience violent extremism along the lines of religious and cultural divides. Youth leaders will play an important role in raising a generation capable of leading peacebuilding processes to ensure the safety and prosperity of their communities. 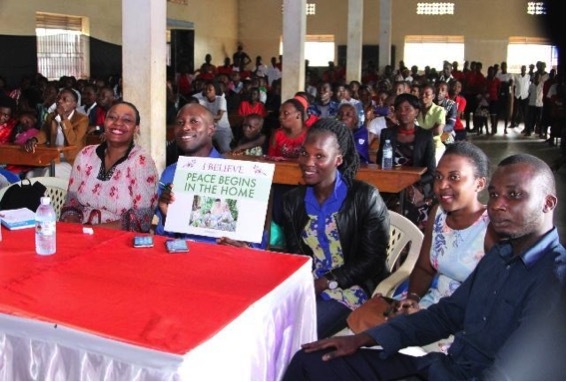 Representatives of the Global Peace Women Uganda Mentorship Program held meetings to supply 50 teachers and staff members with tools to facilitate service and leadership in their schools. Throughout the duration of the program, the team of women developed ten partnerships, held two debate sessions in each school, hosted a media talk show in one school, and implemented four educational movie screenings per school. The young girls who participated said that through the interactive activities and education of the program, they became problem-solvers, learning to empathize with people of different backgrounds, and were able to build confidence in communication and public speaking. Stella believes that uplifting women’s leadership creates more peace and understanding within the community. She was able to demonstrate this through her project, while becoming a model for other schools in the society of Kampala to follow. Sign up for GPF monthly newsletters to get the latest news on women’s leadership in peacebuilding around the world.